Glorious gardens and classic whodunits combine in this hit British series seen on public television. 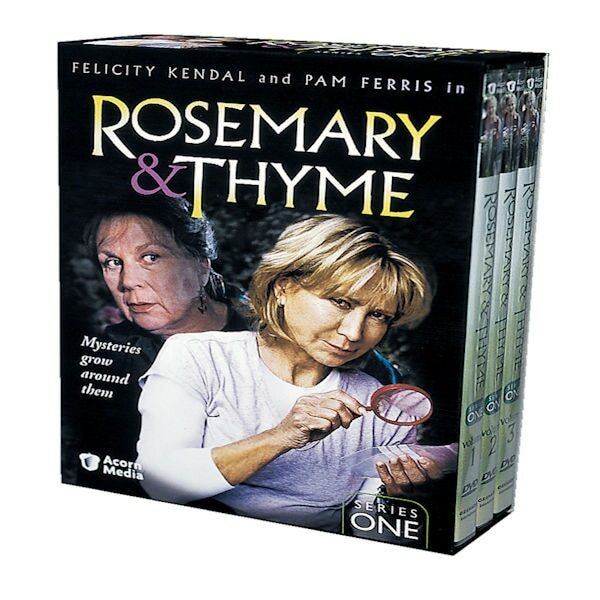 Rosemary Boxer (Felicity Kendal, Good Neighbors) is a plant biologist who recently lost her university teaching post; Laura Thyme (Pam Ferris, Harry Potter) is a former policewoman and garden-loving housewife. Together they share a passion for horticulture and a talent for sleuthing. Filmed on location in gorgeous English and European countryside settings, this series combines two British specialties: gardening and mystery. Series One is 6 episodes; about 6 ½ hrs, 3 DVDs.